I stumbled across this wonderful site awhile back while looking up information on puffer fish (we caught one in a net while at the beach last summer), and I've been a lurker ever since. Finally decided to set up an account so I could interact. 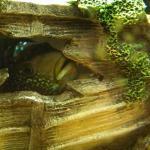 I grew up in a home with more fish tanks than humans since my parents bred fish (and hamsters) for the local pet shop. As I started my life on my own, I quickly discovered I couldn't sleep without a fish filter going- it just didn't seem right! I've had at bare minimum, a tank full of guppies, dojos, and plecos ever since. Currently, there are 2 10g tanks running in my living room... right next to the turtles' tanks (5 RES and a fake map). The bettas have smaller tanks, on a shelf above the turtles large ones. 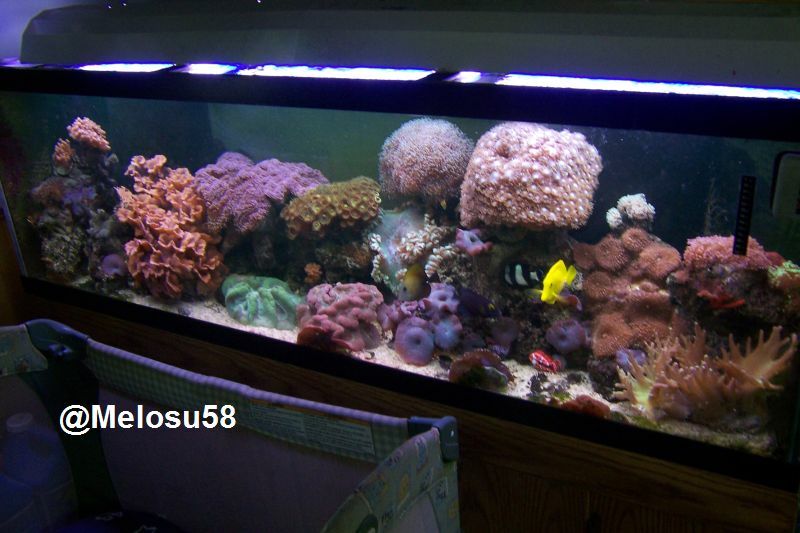 My husband has been a saltwater nut for years, but life circumstance had him without a tank for awhile. In the past couple of years, we've gotten some tanks up and running saltwater for him as well. My favorite is his 55g with a small stars and stripes puffer =) He also has a smaller 30g with 2 yellow damsels, an orange spotted watchman, 2 choc chip starfish, 2 peppermint shrimp, and some crabs and a blenny we never see. to Aquarium Advice. It sounds like you have all sorts of pets! Very cool! Hi! And welcome to AA. V I totally agree with you about rescued pets. 2 of our 3 horses are rescues, all 5 of our cats, and the dog. I do have a parrot who was chosen 28 years ago. I sometimes wondered if other fish lovers also had an assortment of animals and now I see that at least one does. Sowelcome to you and your entire family, human and otherwise.